It was an over cast day in which our family (het gezin) headed off to see Dr Fleur. This is how we head to the vet now. In a backpack. 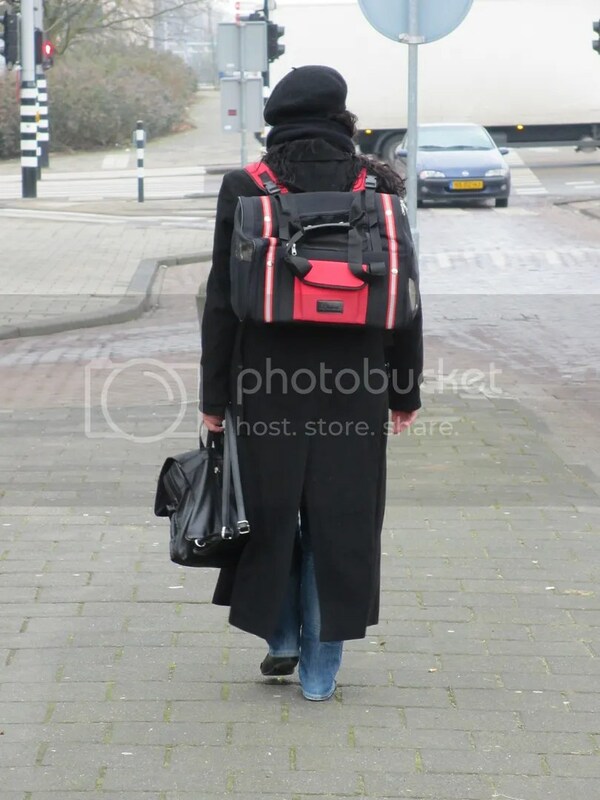 I really need to re-think the whole backpack-handbag thing when going to the veterinary/dierenkliniek. 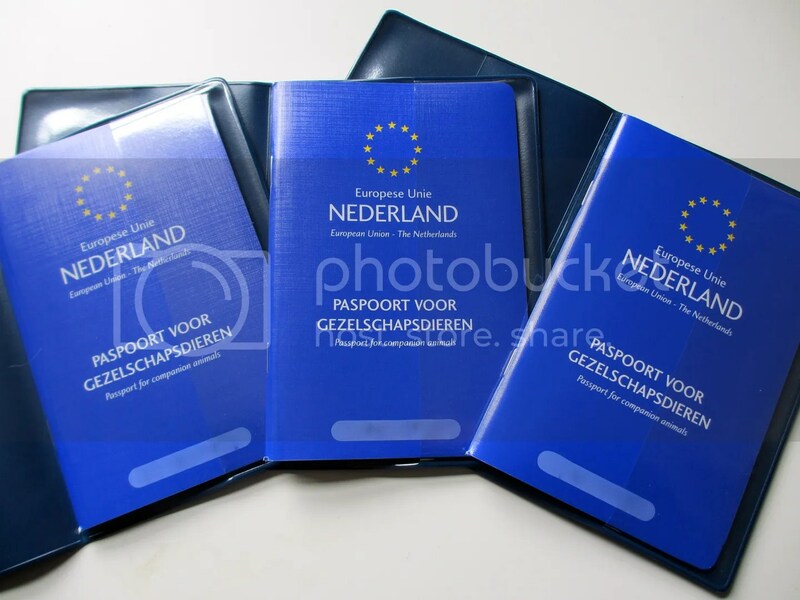 … made it to Dutch/EU citizenship before we did. Ungrateful little wretches! How come they don’t have to speak the language?!? Kittie passports .. who knew there was such a thing?!!!!!! 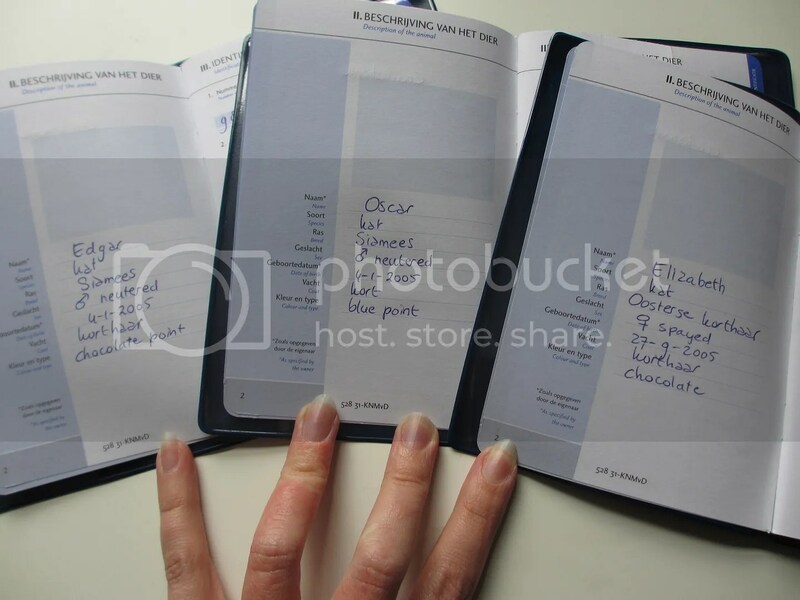 The passports are also particularly useful for those who live in one country and work in another or for those who live in one country but prefer to pay lower vet fees by taking their pets to a neighboring country for appointments. Did you take all the beasts at the same time, in that one bag? Impressive! *laughs* No, not all at the same time 🙂 I just had Edgar. Himself had the other two in the carrier. Now that ‘I think about it – Both!